Over the past decade the Internet community has been witness to the rise of many new forms of online interaction. These new technologies have given rise to anonymous networks (like TOR), black markets within the deep web network (like the Silk Road), and even forms of digital currency, or more accurately crypto-currencies, such as Bitcoin. All of these technological advancements have contributed to securing users around the world and protecting their privacy. Therefore it is no surprise that there must be competition to fuel the evolution of our technology, so following suite comes the inevitable rise of the surveillance technology pushed by governments and mammoth corporations to threaten the privacy of global internet users. However, it doesn't take an intelligence agency (such as the NSA with a $52.6 billion dollar budget) to invest in surveillance to defeat your security and privacy. People will largely remain the greatest threat to their own privacy by remaining ignorant regarding the technology they entrust their information with. The average user that never pierces through technical obscurity is not guaranteed to be even as safe as his current software should allow him to be, and therefore he can never be truly anonymous or safe. By using technology that claims to provide safety or by listening to a common belief regarding software that is not necessarily true, people develop false misunderstandings that create the illusion that they are secure when they really are not. We should be sure to understand that you can never be perfectly anonymous online. You always leave a fingerprint that can always lead back to you. The key is being subtle enough that no one wants to track you, and to obfuscate your trail for when people do. The way the Internet works, packets always need a return address to return information to your screen, which invariably will lead your pursuers to you. However, by the combined use of proxies, encryption and VPN's, you can greatly distance yourself between your hunters by increasing the nodes through which your information travels, the networks through which your data travels and the difficulty it is to read your data as it travels on its way through these paths. Bitcoin is one of these technologies which people largely believe will make them secure. Bitcoin is a form of digital currency used to complete online transactions with participating websites. It is one of many different crypto-currencies, meaning that it uses complex cryptography to generate and secure currency as well as transfer funds to people all over the world from your computer. Then using this address, people can transfer Bitcoin funds to your wallet. To use Bitcoin you do not need to attach your identity to your wallet, which therefore creates an illusion of anonymity. As one can imagine, the possibility to complete transactions free from a physical identity is appealing to parties on the shadier side of the law. This is why Bitcoin is used largely for deep web black market transactions for sites such as the Silk Road (recently seized by the FBI). However, you'd be surprised as to how transparent Bitcoin actually is. Without going into technical detail or the why's and how's, Bitcoin technology is decentralized and is not regulated by a central bank, therefore it has to be transparent to be secure, and it achieves this integrity with something called the blockchain. The blockchain is literally a virtual ledger shared by every node in the Bitcoin network. Instead of a single central bank, every node (connection endpoint, basically Bitcin user) participates in playing the role of the bank by recording and authorizing transactions and then appending them to the ever increasing blockchain which is basically the record of every Bitcoin transaction. Therefore, every single Bitcoin transaction ever should be available for view if someone were to look back far enough in the blockchain. This means that you cannot just hand some untraceable money under the table like cash; were you to buy illegal items on a black market, the transaction of Bitcoins would be visible to every Bitcoin user, forever. Obviously they wouldn't be able to see what the items sold were. They would just be able to see the transaction between addresses. Though you can't see exactly what was purchased like on a receipt from the grocery store, where you buy things is still a large indicator of what you're actually buying. In other words, if your known Bitcoin wallet is sending funds to the Silk Road, chances are you are buying something illegal. Addresses have no builtin security either. Were you to give out your address to someone, that person would know it belongs to you, and therefore every transaction from that address could be traced back to you. You could discard that address, but even a single transaction from that address would still be visible on the blockchain (again, forever). Your transaction from 2011 can be viewed on the same blockchain, just a significant distance back on the chain, in the year 2020. You can also see the balances of Bitcoin wallets, because again, everything must be transparent. So say you were to publish your wallets public address on your personal website and then turn around and use the same address to buy from a notorious criminal organization, chances are that you're not anonymous anymore. Laundering also becomes difficult because fund transfers can be traced by authorities quite easily, however it is not impossible. It is still always best that Bitcoin address' remain anonymous for your safety. As soon as your identity gets thrown into a chain of Bitcoin transactions connected to a crime, you're in hot water indeed. What if you never, in any way, link your identity to a wallet? There will still remain issues. Large corporations can use a process called data mining to infer identities online using network patterns. Surveillance nets put out by government organizations can also crack your security. So clearly Bitcoin alone will not keep your online privacy during transactions safe. However, using common sense and a certain level of skill it is not impossible to remain anonymous. The basic rules still apply regarding proxies and VPN's, or you can always route your traffic through anonymity networks like TOR. There are also ways to obfuscate Bitcoins and services online that can help you hide transfers and sell Bitcoins. It is paramount that you understand that Bitcoin alone is absolutely not anonymous. It is in fact the most transparent of all financial methods in the world, as what would be a private ledger within a bank becomes a public and absolutely transparent record of every transaction on Bitcoin with the blockchain. The key is seperating your real identity from your online pseudonyms and making sure that they never intersect. Ever. Period. Expect future articles going in depth regarding the technicalities of Bitcoin and advanced cryptography. Suggestions regarding improving this article are greatly appreciated. Awesome! I think bitcoin is one of those topics that people know of but don't really understand (I speak for myself here). I really like your article and I just have a couple of suggestion. If you break up the paragraphs a bit it would make it easier to read, there wouldn't be an intimidating wall of text to read. This is more of a personal suggestion but I'd would of liked to see a bit more detail about the bitcoin protocol. Very informative and well-written. 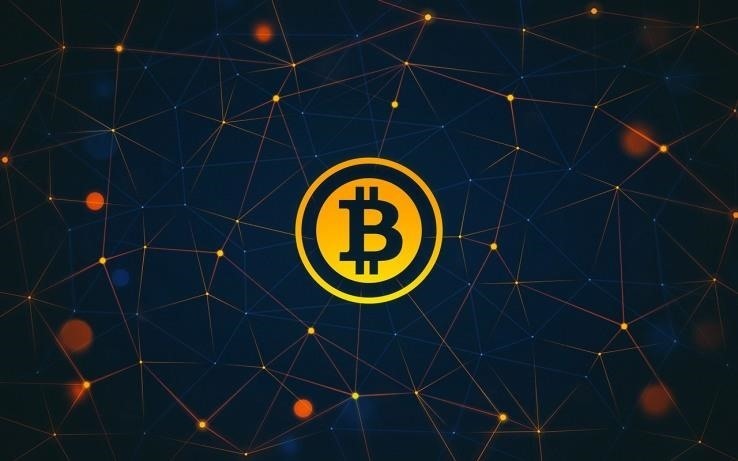 Bitcoin is definitely an area I'm hesitant to venture into mostly because I don't have much to invest into it, but partly because most of the resources I find on Bitcoin try to over-simplify the "how" and I like to have a deeper understanding of things before I start using it, especially when I'm dealing with money. Your article manages to find an excellent balance between simplicity and detail. Very nice. I'm looking forward to reading more from you.